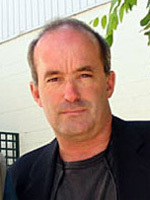 Prof. Hoegh-Guldberg has held academic positions at UCLA, Stanford University,The University of Sydney and The University of Queensland and is a member of the Australian Climate Group; the Royal Society (London) Marine Advisory Network; and the Board of Editing Reviewers at Science Magazine. In 1999 he was awarded the Eureka Prize for his scientific research. He is the Queensland Smart State Premier’s Fellow (2008-2013). In 2012 he was awarded a Thomson Reuters Citation Award in recognition of his outstanding contribution to research and was awarded an Australian Research Council Laureate Fellowship. He is also the Chief Scientist for the Catlin Seaview Survey of the Great Barrier Reef. Hoegh-Guldberg, Ove (2012). Coral reefs, climate change, and mass extinction. In Lee Hannah (Ed. ), Saving a million species: extinction risk from climate change (pp. 261-283) Washington, DC, United States: Island Press. Hoegh-Guldberg, Ove (2012). Implications of climate change for Asian-Pacific coastal and oceanic environments. In Robin Warner and Clive Schofield (Ed. ), Climate change and the oceans: gauging the legal and policy currents in the Asia Pacific and beyond (pp. 21-50) Cheltenham, UK: Edward Elgar. Hoegh-Guldberg, Ove (2011). The impact of climate change on coral reef ecosystems. In Zvy Dubins and Noga Stambler (Ed. ), Coral reefs: an ecosystem in transition (pp. 391-403) Dordrecht, Netherlands: Springer. Hoegh-Guldberg, Ove (2008). Tropical marine ecosystems. In David Lindenmayer, Stephen Dovers, Molly Harriss Olson and Steve Morton (Ed. ), Ten commitments: reshaping the lucky country’s environment (pp. 51-58) Collingwood, VIC, Australia: CSIRO Publishing. Hoegh-Guldberg, I.O. (2001). Sizing the impact: Coral reef ecosystems as early casualties of climate change. In G. Walther, C. Burga and P. Edwards (Ed. ), ‘Fingerprints’ of Climate Change: Adapted Behaviour & Shifting Species Ranges (pp. 203-228) London, UK: Kluwer Academic / Plenum Publishers. Hoegh-Guldberg, Ove (2014) Coral reef sustainability through adaptation: glimmer of hope or persistent mirage?. Current Opinion in Environmental Sustainability, 7 127-133. Kaniewska, P., Anthony, K. R. N., Sampayo, E. M., Campbell, P. R. and Hoegh-Gulberg, O. (2014) Implications of geometric plasticity for maximizing photosynthesis in branching corals. Marine Biology, 161 2: 313-328. Karako-Lampert, Sarit, Zoccola, Didier, Salmon-Divon, Mali, Katzenellenbogen, Mark, Tambutte, Sylvie, Bertucci, Anthony, Hoegh-Guldberg, Ove, Deleury, Emeline, Allemand, Denis and Levy, Oren (2014) Transcriptome Analysis of the Scleractinian Coral Stylophora pistillata. Plos One, 9 2: . Hoegh-Guldberg, O. (2014) Coral reefs in the anthropocene: persistence or the end of the line?. Geological Society Special Publication, 395 1: 167-183. Mendler de Suarez, Janot, Cicin-Sain, Biliana, Wowk, Kateryna, Payet, Rolph and Hoegh-Guldberg, Ove (2014) Ensuring survival: oceans, climate and security. Ocean and Coastal Management, 90 27-37. Burrows, Michael T., Schoeman, David S., Richardson, Anthony J., Molinos, Jorge Garcia, Hoffmann, Ary, Buckley, Lauren B., Moore, Pippa J., Brown, Christopher J., Bruno, John F., Duarte, Carlos M., Halpern, Benjamin S., Hoegh-Guldberg, Ove, Kappel, Carrie V., Kiessling, Wolfgang, O’Connor, Mary I., Pandolfi, John M., Parmesan, Camille, Sydeman, William J., Ferrier, Simon, Williams, Kristen J. and Poloczanska, Elvira S. (2014) Geographical limits to species-range shifts are suggested by climate velocity. Nature, 507 7493: 492-495. Hansen, James, Kharecha, Pushker, Sato, Makiko, Masson-Delmotte, Valerie, Ackerman, Frank, Beerling, David J., Hearty, Paul J., Hoegh-Guldberg, Ove, Hsu, Shi-Ling, Parmesan, Camille, Rockstrom, Johan, Rohling, Eelco J., Sachs, Jeffrey, Smith, Pete, Steffen, Konrad, Van Susteren, Lise, von Schuckmann, Karina and Zachos, James C. (2013) Assessing “Dangerous Climate Change”: required reduction of carbon emissions to protect young people, future generations and nature. PLoS One, 8 12: e81648.1-e81648.26. Bongaerts, Pim, Frade, Pedro R., Ogier, Julie J., Hay, Kyra B., van Bleijswijk, Judith, Englebert, Norbert, Vermeij, Mark J. A., Bak, Rolf P. M., Visser, Petra M. and Hoegh-Guldberg, Ove (2013) Sharing the slope: depth partitioning of agariciid corals and associated Symbiodinium across shallow and mesophotic habitats (2-60 m) on a Caribbean reef. BMC Evolutionary Biology, 13 1: 205.1-205.14. Tonk, Linda, Sampayo, Eugenia M., Weeks, Scarla, Magno-Canto, Marites and Hoegh-Guldberg, Ove (2013) Host-Specific Interactions with Environmental Factors Shape the Distribution of Symbiodinium across the Great Barrier Reef. Plos One, 8 7: 1-14. Bell, Johann D., Ganachaud, Alexandre, Gehrke, Peter C., Griffiths, Shane P., Hobday, Alistair J., Hoegh-Guldberg, Ove, Johnson, Johanna E., Le Borgne, Robert, Lehodey, Patrick, Lough, Janice M., Matear, Richard J., Pickering, Timothy D., Pratchett, Morgan S., Sen Gupta, Alex, Senina, Inna and Waycott, Michelle (2013) Mixed responses of tropical Pacific fisheries and aquaculture to climate change. Nature Climate Change, 3 6: 591-599. Fransolet, David, Roberty, Stephane, Herman, Anne-Catherine, Tonk, Linda, Hoegh-Guldberg, Ove and Plumier, Jean-Christophe (2013) Increased cell proliferation and mucocyte density in the sea anemone aiptasia pallida recovering from bleaching. PLoS ONE, 8 5: e65015.1-e65015.7. Granados-Cifuentes, Camila, Bellantuono, Anthony J., Ridgway, Tyrone, Hoegh-Guldberg, Ove and Rodriguez-Lanetty, Mauricio (2013) High natural gene expression variation in the reef-building coral Acropora millepora: potential for acclimative and adaptive plasticity. Bmc Genomics, 14 1: 228.1-228.12. Tonk, Linda, Bongaerts, Pim, Sampayo, Eugenia M. and Hoegh-Guldberg, Ove (2013) SymbioGBR: a web-based database of Symbiodinium associated with cnidarian hosts on the Great Barrier Reef. Bmc Ecology, 13 7.1-7.9. Bongaerts, P., Muir, P., Englebert, N., Bridge, T.C.L. and Hoegh-Guldberg, O. (2013) Cyclone damage at mesophotic depths on Myrmidon Reef (GBR). Coral Reefs, 32 4: 935-935. Fine, Maoz, Sabbah, Shai, Shashar, Nadav and Hoegh-Guldberg, Ove (2013) Light from down under. Journal of Experimental Biology, 216 23: 4341-4346. Frieler, K., Meinshausen, M., Golly, A., Mengel, M., Lebek, K., Donner, S. D. and Hoegh-Guldberg, O. (2013) Limiting global warming to 2 degrees Celsius is unlikely to save most coral reefs. Nature Climate Change, 3 2: 165-170. Richardson, Anthony J., Brown, Christopher J., Brander, Keith, Bruno, John F., Buckley, Lauren, Burrows, Michael T., Duarte, Carlos M., Halpern, Benjamin S., Hoegh-Guldberg, Ove, Holding, Johnna, Kappel, Carrie V., Kiessling, Wolfgang, Moore, Pippa J., O’Connor, Mary I., Pandolfi, John M., Parmesan, Camille, Schoeman, David S., Schwing, Frank, Sydeman, William J. and Poloczanska, Elvira S. (2012) Climate change and marine life. Biology Letters, 8 6: 907-909. Bellantuono, Anthony J., Granados-Cifuentes, Camila, Miller, David J., Hoegh-Guldberg, Ove and Rodriguez-Lanetty, Mauricio (2012) Coral thermal tolerance: tuning gene expression to resist thermal stress. PLoS One, 7 11: e50685.1-e50685.14. Rau, Greg H., McLeod, Elizabeth L. and Hoegh-Guldberg, Ove (2012) The need for new ocean conservation strategies in a high-carbon dioxide world. Nature Climate Change, 2 10: 720-724. Fielding, Kelly S., Head, Brian W., Laffan, Warren, Western, Mark and Hoegh-Guldberg, Ove (2012) Australian politicians’ beliefs about climate change: political partisanship and political ideology. Environmental Politics, 21 5: 712-733. Bongaerts, P., Hay, K., Hoegh-Guldberg, O. and Hoeksema, B. W. (2012) Mushroom corals overcome live burial through pulsed inflation. Coral Reefs, 31 2: 399-399. Kongjandtre, N., Ridgway, T., Cook, L. G., Huelsken, T., Budd, A. F. and Hoegh-Guldberg, O. (2012) Taxonomy and species boundaries in the coral genus Favia Milne Edwards and Haime, 1857 (Cnidaria: Scleractinia) from Thailand revealed by morphological and genetic data. Coral Reefs, 31 2: 581-601. Hoegh-Guldberg, Ove (2012) The adaptation of coral reefs to climate change: Is the Red Queen being outpaced?. Scientia Marina, 76 2: 403-408. Doropoulos, Christopher, Ward, Selina, Diaz-Pulido, Guillermo, Hoegh-Guldberg, Ove and Mumby, Peter J. (2012) Ocean acidification reduces coral recruitment by disrupting intimate larval-algal settlement interactions. Ecology Letters, 15 4: 338-346. Bellantuono, Anthony J., Hoegh-Guldberg, Ove and Rodriguez-Lanetty, Mauricio (2012) Resistance to thermal stress in corals without changes in symbiont composition. Proceedings of the Royal Society B – Biological Sciences, 279 1731: 1100-1107. Redondo-Rodriguez, Ana, Weeks, Scarla, Berkelmans, Ray, Hoegh-Guldberg, Ove and Lough, Janice M. (2012) Climate variability of the Great Barrier Reef in relation to the tropical Pacific and El Nino-Southern Oscillation. Marine and Freshwater Research, 63 1: 34-47. Roff, George, Kvennefors, E. Charlotte E., Fine, Maoz, Ortiz, Juan, Davy, Joanne E. and Hoegh-Guldberg, Ove (2011) The ecology of ‘Acroporid white syndrome’, a coral disease from the southern Great Barrier Reef. PLoS One, 6 12: e26829.1-e26829.13. Bongaerts, Pim, Sampayo, Eugenia M., Bridge, Thomas C. L., Ridgway, Tyrone, Vermeulen, Francisca, Englebert, Norbert, Webster, Jody M. and Hoegh-Guldberg, Ove (2011) Symbiodinium diversity in mesophotic coral communities on the Great Barrier Reef: a first assessment. Marine Ecology-Progress Series, 439 117-126. Riegl, Bernhard M., Purkis, Bernhard M., Al-Cibahy, Ashraf S., Abdel-Moati, Mohammed A. and Hoegh-Guldberg, Ove (2011) Present limits to heat-adaptability in corals and population-level responses to climate extremes. PLoS One, 6 9: e24802-1-e24802-7. Kaniewska, Paulina, Magnusson, Sveinn H., Anthony, Kenneth R. N., Reef, Ruth, Kühl, Michael and Hoegh-Guldberg, Ove (2011) Importance of macro- versus microstructure in modulating light levels inside coral colonies. Journal of Phycology, 47 4: 846-860. Pantos, Olga and Hoegh-Guldberg, Ove (2011) Shared skeletal support in a coral-hydroid symbiosis. PLoS One, 6 6: e20946.1-e20946.9. Bongaerts, P., Bridge, T.C.L., Kline, D.I., Muir, P.R., Wallace, C.C., Beaman, R.J. and Hoegh-Guldberg, O. (2011) Mesophotic coral ecosystems on the walls of Coral Sea atolls. Coral Reefs, 30 2: 335-335. Rosic, Nedeljka N., Pernice, Mathieu, Rodriguez-Lanetty, Mauricio and Hoegh-Guldberg, Ove (2011) Validation of housekeeping genes for gene expression studies in Symbiodinium exposed to thermal and light stress. Marine Biotechnology, 13 3: 355-365. Hoegh-Guldberg, Ove, Hegerl, Gabi, Root, Terry, Zwiers, Francis, Stott, Peter, Pierce, David and Allen, Myles (2011) Difficult but not impossible. Nature Climate Change, 1 2: 72-72. Anthony, Kenneth R. N., Maynard, Jeffrey A., Diaz-Pulido, Guillermo, Mumby, Peter J., Marshall, Paul A., Cao, Long and Hoegh-Guldberg, Ove (2011) Ocean acidification and warming will lower coral reef resilience. Global Change Biology, 17 5: 1798-1808. Hoegh-Guldberg, Ove (2011) Coral reef ecosystems and anthropogenic climate change. Regional Environmental Change, 11 Supp. 1: S215-S227. Mumby, Peter J., Iglesias-Prieto, Roberto, Hooten, Anthony J., Sale, Peter F., Hoegh-Guldberg, Ove, Edwards, Alasdair J., Harvell, C. Drew, Gomez, Edgardo D., Knowlton, Nancy, Hatziolos, Marea E., Kyewalyanga, Margareth S. and Muthiga, Nyawira (2011) Revisiting climate thresholds and ecosystem collapse. Frontiers in Ecology and the Environment, 9 2: 94-96. Levy, O., Kaniewska, P., Alon, S., Eisenberg, E., Karako-Lampert, S., Bay, L. K., Reef, R., Rodriguez-Lanetty, M., Miller, D. J. and Hoegh-Guldberg, O. (2011) Complex diel cycles of gene expression in coral-algal symbiosis. Science, 331 6014: 175-175. Wild, Christian, Hoegh-Guldberg, Ove, Naumann, Malik S., Colombo-Pallotta, M. Florencia, Ateweberhan, Mebrahtu, Fitt, William K., Iglesias-Prieto, Roberto, Palmer, Caroline, Bythell, John C., Ortiz, Juan-Carlos, Loya, Yossi and van Woesik, Robert (2011) Climate change impedes scleractinian corals as primary reef ecosystem engineers. Marine and Freshwater Research, 62 2: 205-215. Veal, C. J., Carmi, M., Fine, M. and Hoegh-Guldberg, O. (2010) Increasing the accuracy of surface area estimation using single wax dipping of coral fragments. Coral Reefs, 29 4: 893-897. Venera-Ponton, D. E., Diaz-Pulido, G., Rodriguez-Lanetty, M. and Hoegh-Guldberg, O. (2010) Presence of Symbiodinium spp. in macroalgal microhabitats from the southern Great Barrier Reef. Coral Reefs, 29 4: 1049-1060. Veal, Cameron James, Carmi, Maya, Dishon, Gal, Sharon, Yoni, Michael, Kelvin, Tchernov, Dan, Hoegh-Guldberg, Ove and Fine, Maoz (2010) Shallow-water wave lensing in coral reefs: A physical and biological case study. Journal of Experimental Biology, 213 24: 4304-4312. Weeks, S. J., Bakun, A., Steinberg, C. R., Brinkman, R. and Hoegh-Guldberg, O. (2010) The Capricorn Eddy: A prominent driver of the ecology and future of the southern Great Barrier Reef. Coral Reefs, 29 4: 975-985. Kvennefors, E. Charlotte E., Leggat, William, Kerr, Caroline C., Ainsworth, Tracy D., Hoegh-Guldberg, Ove and Barnes, Andrew C. (2010) Analysis of evolutionarily conserved innate immune components in coral links immunity and symbiosis. Developmental and Comparative Immunology, 34 11: 1219-1229. Maynard, Jeffrey A., Anthony, Kenneth R. N., Afatta, Siham, Dahl-Tacconi, Nancy and Hoegh-Guldberg, Ove (2010) Making a model meaningful to coral reef managers in a developing nation: A case study of overfishing and rock anchoring in Indonesia. Conservation Biology, 24 5: 1316-1326. Hoegh-Guldberg, O (2010) Dangerous shifts in ocean ecosystem function?. ISME JOURNAL, 4 9: 1090-1092. Andersen, SB, Vestergaard, ML, Ainsworth, TD, Hoegh-Guldberg, O and Kuhl, M (2010) Acute tissue death (white syndrome) affects the microenvironment of tabular Acropora corals. Aquatic Biology, 10 1: 99-104. Hoegh-Guldberg, O and Bruno, JF (2010) The impact of climate change on the world’s marine ecosystems. Science, 328 5985: 1523-1528. Bongaerts, P., Ridgway, T., Sampayo, E. M. and Hoegh-Guldberg, O. (2010) Assessing the ‘deep reef refugia’ hypothesis: Focus on Caribbean reefs. Coral Reefs, 29 2: 309-327. Pelejero, Carles, Calvo, Eva and Hoegh-Guldberg, Ove (2010) Paleo-perspectives on ocean acidification. Trends in Ecology and Evolution, 25 6: 332-344. Harii, Saki, Yamamoto, Masanobu and Hoegh-Guldberg, Ove (2010) The relative contribution of dinoflagellate photosynthesis and stored lipids to the survivorship of symbiotic larvae of the reef-building corals. Marine Biology, 157 6: 1215-1224. Veal, C. J., Holmes, G., Nunez, M., Hoegh-Guldberg, O. and Osborn, J. (2010) A comparative study of methods for surface area and three-dimensional shape measurement of coral skeletons. Limnology and Oceanography: Methods, 8 May: 241-253. Bongaerts, Pim, Riginos, Cynthia, Ridgway, Tyrone, Sampayo, Eugenia M., van Oppen, Madeleine J. H., Englebert, Norbert, Vermeulen, Francisca and Hoegh-Guldberg, Ove (2010) Genetic divergence across habitats in the widespread coral Seriatopora hystrix and its associated Symbiodinium. PLoS One, 5 5: e001087:1-e001087:11. LaJeunesse, TC, Pettay, DT, Sampayo, EM, Phongsuwan, N, Brown, B, Obura, DO, Hoegh-Guldberg, O and Fitt, WK (2010) Long-standing environmental conditions, geographic isolation and host-symbiont specificity influence the relative ecological dominance and genetic diversification of coral endosymbionts in the genus Symbiodinium. JOURNAL OF BIOGEOGRAPHY, 37 5: 785-800. Siboni, Nachshon, Rasoulouniriana, Diana, Ben-Dov, Eitan, Kramarsky-Winter, Esti, Sivan, Alex, Loya, Yossi, Hoegh-Guldberg, Ove and Kushmaro, Ariel (2010) Stramenopile microorganisms associated with the massive coral favia sp.. Journal of Eukaryotic Microbiology, 57 3: 236-244. Kvennefors, E. Charlotte E., Sampayo, Eugenia, Ridgway, Tyrone, Barnes, Andrew Cartner and Hoegh-Guldberg, Ove (2010) Bacterial communities of two ubiquitous Great Barrier Reef corals reveals both site- and species-specificity of common bacterial associates. PLoS One, 5 4: e10401 – 1-e10401 – 14. Kongjandtre, N., Ridgway, T., Ward, S. and Hoegh-Guldberg, O. (2010) Broadcast spawning patterns of Favia species on the inshore reefs of Thailand. Coral Reefs, 29 1: 227-234. Rodriguez-Lanetty, Mauricio, Harii, Saki and Hoegh-Guldberg, Ove (2010) Corrigendum. Molecular Ecology, 19 5: 1071-1071. Diaz-Pulido, G, Harii, S, McCook, LJ and Hoegh-Guldberg, O (2010) The impact of benthic algae on the settlement of a reef-building coral. CORAL REEFS, 29 1: 203-208. Rodriguez-Lanetty, M, Harii, S and Hoegh-Guldberg, O (2009) Early molecular responses of coral larvae to hyperthermal stress. Molecular Ecology, 18 24: 5101-5114. Ortiz, JC, Gomez-Cabrera, MD and Hoegh-Guldberg, O (2009) Effect of colony size and surrounding substrate on corals experiencing a mild bleaching event on Heron Island reef flat (southern Great Barrier Reef, Australia). CORAL REEFS, 28 4: 999-1003. Reef, Ruth, Kaniewska, Paulina and Hoegh-Guldberg, Ove (2009) Coral skeletons defend against ultraviolet radiation. PLoS One, 4 11: Article No. e7995. Mooney, Harold, Larigauderie, Anne, Cesario, Manuel, Elmquist, Thomas, Hoegh-Guldberg, Ian O., Lavorel, Sandra, Mace, Georgia M, Palmer, Margaret, Scholes, Robert and Yahara, Tetsukazu (2009) Biodiversity, climate change, and ecosystem services. Current Opinion in Environmental Sustainability, 1 1: 46-54. Veron, J. E. N., Hoegh-Guldberg, Ian O., Lenton, T. M., Lough, J. M., Obura, D. O., Peace-Kelly, P., Sheppard, C. R. C., Spalding, M., Stafford-Smith, M. G. and Rogers, A. D. (2009) The coral reef crisis: The critical importance of <350 ppm CO2. Marine Pollution Bulletin, 58 10: 1428-1436. Vitt, Pati, Havens, Kayri and Hoegh-Guldberg, Ian O. (2009) Assisted migration: Part of an integrated conservation strategy. Trends In Ecology & Evolution, 24 9: 473-474. Hoegh-Guldberg, Ian O. (2009) Climate change and coral reefs: Trojan horse or false prophecy? A response to Maynard et al. (2008). Coral Reefs, 28 3: 569-575. Stat, M, Loh, WKW, LaJeunesse, TC, Hoegh-Guldberg, O and Carter, DA (2009) Stability of coral-endosymbiont associations during and after a thermal stress event in the southern Great Barrier Reef. CORAL REEFS, 28 3: 709-713. Fitt, W.K., Gates, R.D., Hoegh-Guldberg, O., Bythell, J.C., Jatkar, A., Grottoli, A.G., Gomez, M., Fisher, P., Lajuenesse, T.C., Pantos, O., Iglesias-Prieto, R., Franklin, D.J., Rodrigues, L.J., Torregiani, J.M., van Woesik, R. and Lesser, M.P. (2009) Response of two species of indo-pacific corals, porites cylindrica and stylophora pistillata, to short-term thermal stress: The host does matter in determining the tolerance of corals to bleaching. Journal of Experimental Marine Biology And Ecology, 373 2: 102-110. Rosic, N. N. and Hoegh-Guldberg, O (2009) A method for extracting a high-quality RNA from Symbiodinium sp.. Journal of Applied Phycology, 22 2: 139-146. Kaniewska, P, Campbell, PR, Fine, M and Hoegh-Guldberg, O (2009) Phototropic growth in a reef flat acroporid branching coral species. Journal of Experimental Biology, 212 5: 662-667. Morton, SR, Hoegh-Guldberg, O, Lindenmayer, DB, Olson, MH, Hughes, L, McCulloch, MT, McIntyre, S, Nix, HA, Prober, SM, Saunders, DA, Andersen, AN, Burgman, MA, Lefroy, EC, Lonsdale, WM, Lowe, I, McMichael, AJ, Parslow, JS, Steffen, W, Williams, JE and Woinarski, JCZ (2009) The big ecological questions inhibiting effective environmental management in Australia. AUSTRAL ECOLOGY, 34 1: 1-9. Ainsworth, TD and Hoegh-Guldberg, O (2009) Bacterial communities closely associated with coral tissues vary under experimental and natural reef conditions and thermal stress. Aquatic Biology, 4 3: 289-296. Kvennefors, E.Charlotte E., Leggat, William, Hoegh-Guldberg, Ove, Degnan, Bernard M. and Barnes, Andrew C. (2008) An ancient and variable mannose-binding lectin from the coral Acropora millepora binds both pathogens and symbionts. Developmental and Comparative Immunology, 32 12: 1582-1592. Jupiter, S., Roff, G., Marion, G., Henderson, M., Schrameyer, V., McCulloch, M. and Hoegh-Guldberg, O. (2008) Linkages between coral assemblages and coral proxies of terrestrial exposure along a cross-shelf gradient on the southern Great Barrier Reef. Coral Reefs, 27 4: 887-903. Stat, M., Loh, W.K.W., Hoegh-Guldberg, O. and Carter, D.A. (2008) Symbiont acquisition strategy drives host-symbiont associations in the southern Great Barrier Reef. Coral Reefs, 27 4: 763-772. Hoegh-Guldberg, O., Hughes, L., Mcintyre, S., Lindenmayer, D. B., Parmesan, C., Possingham, H. P. and Thomas, C. D. (2008) Where Species Go, Legal Protections Must Follow – Response. Science, 322 5904: 1049-1050. Ainsworth, T. D., Hoegh-Guldberg, O. and Leggat, W. (2008) Imaging the fluorescence of marine invertebrates and their associated flora. Journal of Microscopy, 232 2: 197-199. Kaniewska, P., Anthony, K.R.N. and Hoegh-Guldberg, O. (2008) Variation in colony geometry modulates internal light levels in branching corals, Acropora humilis and Stylophora pistillata. Marine Biology, 155 6: 649-660. Ainsworth, T. D., Hoegh-Guldberg, O., Heron, S. F., Skirving, W. J. and Leggat, W. (2008) Early cellular changes are indicators of pre-bleaching thermal stress in the coral host. Journal of Experimental Marine Biology and Ecology, 364 2: 63-71. Ainsworth, T. D. and Hoegh-Guldberg, O. (2008) Cellular processes of bleaching in the Mediterranean coral Oculina patagonica. Coral Reefs, 27 3: 593-597. Sampayo, E. M., Ridgway, T., Bongaerts, P. and Hoegh-Guldberg, O. (2008) Bleaching susceptibility and mortality of corals are determined by fine-scale differences in symbiont type. Proceedings of the National Academy of Sciences of the United States of America, 105 30: 10444-10449. Hoegh-Guldberg, O., Hughes, L., McIntyre, S., Lindenmayer, D.B., Parmesan, C., Possingham, H.P. and Thomas, C.D. (2008) Assisted Colonization and Rapid Climate Change. Science, 321 5887: 345-346. Weis, V.M., Davy, S.K., Hoegh-Guldberg, O., Rodriguez-Lanetty, M. and Pringe, J.R. (2008) Cell biology in model systems as the key to understanding corals. Trends in Ecology & Evolution, 23 7: 369-376. Weeks, S.J., Anthony, K.R.N., Bakun, A., Feldman, G.C. and Hoegh-Guldberg, O. (2008) Improved predictions of coral bleaching using seasonal baselines and higher spatial resolution. Limnology and Oceanography, 53 4: 1369-1375. Roff, G., Kvennefors, E. C. E., Ulstrup, K. E., Fine, M. and Hoegh-Guldberg, O. (2008) Coral disease physiology: the impact of Acroporid white syndrome on Symbiodinium. Coral Reefs, 27 2: 373-377. Hoegh-Guldberg, O., Mumby, P. J., Hooten, A. J., Steneck, R. S., Greenfield, P., Gomez, E., Harvell, D. R., Sale, P. F., Edwards, A. J., Caldeira, K., Knowlton, N., Eakin, C. M., Iglesias-Prieto, R., Muthiga, N., Bradbury, R. H., Dubi, A. and Hatziolos, M. E. (2008) Coral adaptation in the face of climate change: Response. Science, 320 5874: 315-316. Roff, George, Ulstrup, Karin E., Fine, Maoz, Ralph, Peter J. and Hoegh-Guldberg, Ove (2008) Spatial heterogeneity of photosynthetic activity within diseased corals from the great barrier reef. Journal of Phycology, 44 2: 526-538. Middlebrook, R., Hoegh-Guldberg, O. and Leggat, W. (2008) The effect of thermal history on the susceptibility of reef-building corals to thermal stress. Journal of Experimental Biology, 211 7: 1050-1056. Wild, C., Jantzen, C., Struck, U., Hoegh-Guldberg, O. and Huettel, M. (2008) Biogeochemical responses following coral mass spawning on the Great Barrier Reef: pelagic-benthic coupling. Coral Reefs, 27 1: 123-132. Moore, R.B., Obornik, M., Janouskovec, J., Chrudimsky, T., Vancova, M., Green, D.H., Wright, S.W., Davies, N.W., Bolch, C.J.S., Heimann, K., Slapeta, J., Hoegh-Guldberg, O., Logsdon, J.M. and Carter, D.A. (2008) A photosynthetic alveolate closely related to apicomplexan parasites. Nature, 451 7181: 959-963. Gomez-Cabrera, M. del C., Ortiz, J. C., Loh, W. K. W., Ward, S. and Hoegh-Guldberg, O. (2008) Acquisition of symbiotic dinoflagellates (Symbiodinium) by juveniles of the coral Acropora longicyathus. Coral Reefs, 27 1: 219-226. Ainsworth, T. D., Fine, M., Roff, G. and Hoegh-Guldberg, O. (2008) Bacteria are not the primary cause of bleaching in the Mediterranean coral Oculina patagonica. The ISME Journal, 2 1: 67-73. Ridgway, Tyrone, Riginos, Cynthia, Davis, Jasmine and Hoegh-Guldberg, Ove (2008) Genetic connectivity patterns of Pocillopora verrucosa in southern African Marine Protected Areas. Marine Ecology-Progress Series, 354 161-168. Vezina, Alain F. and Hoegh-Guldberg, Ove (2008) Introduction: Effects of ocean acidification on marine ecosystems. Marine Ecology Progress Series, 373 199-201. Hoegh-Guldberg, O., Mumby, P. J., Hooten, A. J., Steneck, R. S., Greenfield, P., Gomez, E., Harvell, C. D., Sale, P. F., Edwards, A. J., Caldeira, K., Knowlton, N., Eakin, C. M., Iglesias-Prieto, R., Muthiga, N., Bradbury, R. H., Dubi, A. and Hatziolos, M. E. (2007) Coral reefs under rapid climate change and ocean acidification. Science, 318 5857: 1737-1742. Hoegh-Guldberg, O., Muller-Parker, G., Cook, C. B., Gates, R. D., Gladfelter, E., Trench, R. K. and Weis, V. M. (2007) Len Muscatine (1932-2007) and his contributions to the understanding of algal-invertebrate endosymbiosis. Coral Reefs, 26 4: 731-739. Levy, O., Appelbaum, L., Leggat, W., Gothlif, Y., Hayward, D. C., Miller, D. J. and Hoegh-Guldberg, O. (2007) Light-Responsive Cryptochromes from a Simple Multicellular Animal, the Coral Acropora millepora. Science, 318 5849: 467-470. Schuttenberg, H. and Hoegh-Guldberg, O. (2007) A World with Corals: What Will It Take?. Science, 318 5847: 42-42. Lesser, M. P., Falcon, L. I., Rodriguez-Roman, A., Enriquez, S., Hoegh-Guldberg, O. and Iglesias-Prieto, R. (2007) Nitrogen fixation by symbiotic cyanobacteria provides a source of nitrogen for the scleractinian coral Montastraea cavernosa. Marine Ecology-progress Series, 346 143-152. Caldeira, K., Archer, D., Barry, J. P., Bellerby, R. G. J., Brewer, P. G., Cao, L., Dickson, A. G., Doney, S. C., Elderfield, H., Fabry, V. J., Feely, R. A., Gattuso, J. P., Haugan, P. M., Hoegh-Guldberg, O., Jain, A. K., Kleypas, J. A., Langdon, C., Orr, J. C., Ridgwell, A., Sabine, C. L., Seibel, B. A., Shirayama, Y., Turley, C., Watson, A. J. and Zeebe, R. E. (2007) Comment on “Modern-age buildup of CO2 and its effects on seawater acidity and salinity” by Hugo A. Loáiciga. Geophysical Research Letters, 34 18: L18608-1-L18608-3. Mostafavi, P. G., Fatemi, S. M. R., Shahhosseiny, M. H., Hoegh-Guldberg, O. and Loh, W. K. W. (2007) Predominance of clade D Symbiodinium in shallow-water reef-building corals off Kish and Larak Islands (Persian Gulf, Iran). Marine Biology, 153 1: 25-34. Lesser, M. P., Bythell, J. C., Gates, R. D., Johnstone, R. W. and Hoegh-Guldberg, O. (2007) Are infectious diseases really killing corals? Alternative interpretations of the experimental and ecological data. Journal of Experimental Marine Biology and Ecology, 346 1-2: 36-44. Anthony, Kenneth R. N., Connolly, Sean R. and Hoegh-Guldberg, Ove (2007) Bleaching, energetics, and coral mortality risk: Effects of temperature, light, and sediment regime. Limnology and Oceanography, 52 2: 716-726. Hughes, Terence P., Rodrigues, Maria J, Bellwood, David R., Ceccarelli, Daniela, Hoegh-Guldberg, Ove, McCook, Laurence, Moltschaniwskyj, Natalie, Pratchett, Morgan S., Steneck, Robert S. and Willis, Bette (2007) Phase shifts, herbivory, and the resilience of coral reefs to climate change. Current Biology, 17 4: 360-365. Coral Disease Diagnostics: What’s between a Plague and a Band? Ainsworth, T. D., Kramasky-Winter, E., Loya, Y., Hoegh-Guldberg, O. and Fine, M. (2007) Coral Disease Diagnostics: What’s between a Plague and a Band?. Applied And Environmental Microbiology, 73 3: 981-992. Ainsworth, T. D., Kvennefors, E. C., Blackall, L. L., Fine, M. and Hoegh-Guldberg, O. (2007) Disease and cell death in white syndrome of Acroporid corals on the Great Barrier Reef. Marine Biology, 151 1: 19-29. Yarden, O., Ainsworth, T. D., Roff, G., Leggat, W., Fine, M. and Hoegh-Guldberg, O. (2007) Increased Prevalence of Ubiquitous Ascomycetes in an Acropoid Coral (Acropora formosa) Exhibiting Symptoms of Brown Band Syndrome and Skeletal Eroding Band Disease. Applied And Environmental Microbiology, 73 8: 2755-2757. Fine, M., Roff, G., Ainsworth, T. D. and Hoegh-Guldberg, O. (2006) Phototrophic microendoliths bloom during coral “white syndrome”. Coral Reefs, 25 4: 577-581. Roff, G., Hoegh-Guldberg, O. and Fine, M. (2006) Intra-colonial response to Acroporid “White syndrome” lesions in tabular Acropora spp. (Scleractinia). Coral Reefs, 25 2: 255-264. Hoegh-Guldberg, O (2006) Ecology – Complexities of coral reef recovery. Science, 311 5757: 42-43. Ainsworth, T. D., Fine, M., Blackall, L. L. and Hoegh-Guldberg, O. (2006) Fluorescence in situ hybridization and spectral imaging of coral-associated bacterial communities. Applied And Environmental Microbiology, 72 4: 3016-3020. Franklin, D. J., Cedres, C. M. M. and Hoegh-Guldberg, O. (2006) Increased mortality and photoinhibition in the symbiotic dinoflagellates of the Indo-Pacific coral Stylophora pistillata (Esper) after summer bleaching. Marine Biology, 149 3: 633-642. Siebeck, U. E., Marshall, N. J., Kluter, A. and Hoegh-Guldberg, O. (2006) Monitoring coral bleaching using a colour reference card. Coral Reefs, 25 3: 453-460. Werner, Ursula, Bird, Paul, Wild, Christian, Ferdelman, Timothy, Polerecky, Lubos, Eickert, Gabriele, Jonstone, Ron, Hoegh-Guldberg, Ove and de Beer, Dirk (2006) Spatial patterns of aerobic and anaerobic mineralization rates and oxygen penetration dynamics in coral reef sediments. Marine Ecology-progress Series, 309 March: 93-105. Stat, Michael, Carter, Dee and Hoegh-Guldberg, Ove (2006) The evolutionary history of Symbiodinium and scleractinian hosts – Symbiosis, diversity, and the effect of climate change. Perspectives In Plant Ecology Evolution And Systematics, 8 1: 23-43. Davy, K., Burchett, G., Dale, L., Davies, R., DAVY, E., Muncke, C., Hoegh-Guldberg, I. O. and WILSON, H. (2006) Viruses: agents of coral disease?. Diseases of Aquatic Organisms, 69 1: 101-110. Kleypas, J. A., Buddemeier, R. W., Eakin, C. M., Gattusso, J. P., Guinotte, J., Hoegh-Guldberg, I. O., Iglesias-Prieto, R., Jokiel, J. P., Langdon, C., Skirving, W. and Strong, A. E. (2005) Comment on “Coral reef calcification and climate change: The effect of ocean warming”. Geophysical Research Letters, 32 8: . Donner, S. D., Skirving, W. J., Little, C. M., Oppenheimer, M. and Hoegh-Guldberg, O. (2005) Global assessment of coral bleaching and required rates of adaptation under climate change. Global Change Biology, 11 12: 2251-2265. Hoegh-Guldberg, Ove (2005) Low coral cover in a high-CO2 world. Journal of Geophysical Research-oceans, 110 C9: C09S06. Edmunds, P. J., Gates, R. D., Leggat, W., Hoegh-Guldberg, O. and Allen-Requa, L. (2005) The effect of temperature on the size and population density of dinoflagellates in larvae of the reef coral Porites astreoides. Invertebrate Biology, 124 3: 185-193. Fine, M., Meroz-Fine, E. and Hoegh-Guldberg, O. (2005) Tolerance of endolithic algae to elevated temperature and light in the coral Montipora monasteriata from the southern Great Barrier Reef. Journal of Experimental Biology, 208 1: 75-81. Jones, R. J., Bowyer, J. C., Hoegh-Guldberg, I.O. and Blackall, L. L. (2004) Dynamics of a temperature-related coral disease outbreak. Marine Ecology Progress Series, 281 63-77. Franklin, D. J., Hoegh-Guldberg, O., Jones, R. J. and Berges, J. A. (2004) Cell death and degeneration in the symbiotic dinoflagellates of the coral Stylophora pistillata during bleaching. Marine Ecology-progress Series, 272 117-130. LaJeunesse, T. C., Bhagooli, R., Hidaka, M., DeVantier, L., Done, T., Schmidt, G. W., Fitt, W. K. and Hoegh-Guldberg, O (2004) Closely related Symbiodinium spp. differ in relative dominance in coral reef host communities across environmental, latitudinal and biogeographic gradients. Marine Ecology-progress Series, 284 147-161. Hoegh-Guldberg, I.O. and Fine, M. (2004) Low temperatures cause coral bleaching. Coral Reefs, 23 3: 444-444. Hoegh-Guldberg, Ove, Muscatine, Leonard, Goiran, Claire, Siggaard, Dorthe and Marion, Guy (2004) Nutrient-induced perturbations to delta C-13 and delta N-15 in symbiotic dinoilagellates and their coral hosts. Marine Ecology Progress Series, 280 105-114. Pandolfi, J. M., Bradbury, R. H., Sala, E., Hughes, T. P., Bjorndal, K. A., Cooke, R. G., McArdle, D., McClenachan, L., Newman, M. J. H., Paredes, G., Warner, R. R., Jackson, J. B. C., Hughes, T. P., Baird, A. H., Bellwood, D. R., Connolly, S. R., Folke, C., Grosberg, R., Hoegh-Guldberg, O. and et al. (2003) Causes of coral reef degradation. Science, 302 5650: 1502-1504. Hughes, TP, Baird, AH, Bellwood, DR, Connolly, SR, Folke, C, Grosberg, R, Hoegh-Guldberg, O, Jackson, JBC, Kleypas, J, Lough, JM, Marshall, P, Nystrom, M, Palumbi, SR, Pandolfi, JM, Rosen, B and Roughgarden, J (2003) Causes of coral reef degradation – Response. Science, 302 5650: 1503-1504. LaJeunesse, Todd C., Loh, William K. W., van Woesik, Robert, Hoegh-Guldberg, Ove, Schmidt, Gregory W. and Fitt, William K. (2003) Low symbiont diversity in southern Great Barrier Reef corals, relative to those of the Caribbean. Limnology And Oceanography, 48 5: 2046-2054. Rodriguez-Lannetty, M. and Hoegh-Guldberg, I. O. (2003) Symbiont diversity within the widespread Scleractinian coral Plesiastrea versipore across the northwestern Pacific. Marine Biology, 143 3: 501-509. Ren, Lei, Linsley, Braddock K., Wellington, Gerard M., Schrag, Daniel P. and Hoegh-Guldberg, Ove (2003) Deconvolving the delta O-18 seawater component from subseasonal coral delta O-18 and Sr/Ca at Rarotonga in the southwestern subtropical Pacific for the period 1726 to 1997. Geochimica Et Cosmochimica Acta, 67 9: 1609-1621. Hughes, T. E., Baird, A. H., Bellwood, D. R., Card, M., Connolly, S. R., Folke, C., Grosberg, R., Hoegh-Guldberg, I. O., Jackson, J.R., Kleypas, J, Lough, J. M., Marshall, P., Nystrom, M., Palumbi, S. R., Pandolfi, J. M., Rosen, B. and Roughgarden, J. (2003) Climate change, human impacts, and the resilience of coral reefs. Science, 301 5635: 929-933. Takabayashi, M., Carter, D., Lopez, J. and Hoegh-Guldberg, O. (2003) Genetic variation of the scleractinian coral Stylophora pistillata, from western Pacific reefs. Coral Reefs, 22 1: 17-22. Moore, Robert, Ferguson, Katherine, Loh, William, Hoegh-Guldberg, Ove and Carter, Dee (2003) Highly organized structure in the non-coding region of the psbA minicircle from clade C Symbiodinium. International Journal of Systematic And Evolutionary Microbiology, 53 6: 1725-1734. Anthony, KRN and Hoegh-Guldberg, O (2003) Kinetics of photoacclimation in corals. Oecologia, 134 1: 23-31. Saxby, T., Dennison, W. C. and Hoegh-Guldberg, O. (2003) Photosynthetic responses of the coral Montipora digitata to cold temperature stress. Marine Ecology-progress Series, 248 85-97. Anthony, K. R. N. and Hoegh-Guldberg, O. (2003) Variation in Coral Photosynthesis, Respiration and Growth Characteristics in Contrasting Light Microhabitats: An Analogue to Plants in Forest Gaps and Understoreys?. Functional Ecology, 17 2: 246-259. Walther, Gian-Reto, Post, Eric, Convey, Peter, Menzel, Annette, Parmesan, Camille, Beebee, Trevor J. C., Fromentin, Jean-Marc, Hoegh-Guldberg, Ove and Bairlein, Franz (2002) Ecological responses to recent climate change. Nature, 416 6879: 389-395. Ecology – Is coral bleaching really adaptive? Hoegh-Guldberg, Ove, Jones, Ross J., Ward, Selina and Loh, William K. (2002) Ecology – Is coral bleaching really adaptive?. Nature, 415 6872: 601-602. Rodriguez-Lanetty, M. and Hoegh-Guldberg, O. (2002) The phylogeography and connectivity of the latitudinally widespread scleractinian coral Plesiastrea versipora in the Western Pacific. Molecular Ecology, 11 7: 1177-1189. Moreno, G., Selvakumaraswamy, P., Byrne, M. and Hoegh-Guldberg, O. (2001) A test of the ash-free dry weight technique on the developmental stages of Patiriella spp. (Echinodermata : Asteroidea). Limnology And Oceanography, 46 5: 1214-1220. Jones, R. J. and Hoegh-Guldberg, I. O. (2001) Diurnal changes in the photochemical efficiency of the symbiotic dinoflagellates (Dinophyceae) of corals: photoprotection, photoinactivation and the relationship to coral bleaching. Plant, Cell & Environment, 24 1: 89-99. Koop, K., Booth, D., Broadbent, A., Brodie, J., Bucher, D., Capone, D., Coll, J., Dennison, W. C., Erdmann, M., Harrison, P., Hoegh-Guldberg, I. O., Hutchings, P., Jones, G. B., Larkum, A. W. D. and O’Neil, J. M. (2001) ENCORE: The effect of nutrient enrichment on coral reefs. Synthesis of results and conclusions. Marine Pollution Bulletin: the international journal for marine environmentalists, scientists, engineers, administrators, politicians and lawyers, 42 2: 91-120. Loh, W. K. W., Loi, T., Carter, D. and Hoegh-Guldberg, O. (2001) Genetic variability of the symbiotic dinoflagellates from the wide ranging coral species Seriatopora hystrix and Acropora longicyathus in the Indo-West Pacific. Marine Ecology-progress Series, 222 97-107. Rodriguez, M., Loh, W. K. W., Carter, D. and Hoegh-Guldberg, I. O. (2001) Latitudinal variability in symbiont specificity within the widespread scleractinian coral Plesiastrea versipora. Marine Biology, 138 6: 1175-1181. Ridgway, T., Hoegh-Guldberg, O. and Ayre, D. J. (2001) Panmixia in Pocillopora verrucosa from South Africa. Marine Biology, 139 1: 175-181. Ferrier-Pages, C., Schoelzke, V., Jaubert, J., Muscatine, L. and Hoegh-Guldberg, O. (2001) Response of a scleractinian coral, Stylophora pistillata, to iron and nitrate enrichment. Journal of Experimental Marine Biology And Ecology, 259 2: 249-261. Jones, R. J., Ward, S., Yang Amri, A. and Hoegh-Guldberg, I.O. (2000) Changes in quantum efficiency of Photosystem II of symbiotic dinoflagellates of corals after heat stress, and of bleached corals sampled after the 1998 Great Barrier Reef mass bleaching event Ross J. Jones , Selina Ward, Affendi Yang Amri and Ove Hoegh-Guldberg. Marine and Freshwater Research, 51 1: 63-71. Salih, A., Larkum, A., Cox, G., Kuhl, M. and Hoegh-Guldberg, O. (2000) Fluorescent pigments in corals are photoprotective. Nature, 408 6814: 850-853. Ambariyanto and Hoegh-Guldberg, O (1999) Influence of field-based nutrient enrichment on the photobiology of the giant clam Tridacna maxima. Marine Biology, 133 4: 659-664. Ambariyanto and Hoegh-Guldberg, O. (1999) Net uptake of dissolved free amino acids by the giant clam, Tridacna maxima: alternative sources of energy and nitrogen?. Coral Reefs, 18 1: 91-96. Moreno, Guillermo and Hoegh-Guldberg, Ove (1999) The energetics of development of three congeneric seastars (Patiriella Verrill, 1913) with different types of development. Journal of Experimental Marine Biology And Ecology, 235 1: 1-20. Hoegh-Guldberg, O and Williamson, J (1999) Availability of two forms of dissolved nitrogen to the coral Pocillopora damicornis and its symbiotic zooxanthellae. Marine Biology, 133 3: 561-570. Hoegh-Guldberg, O (1999) Climate change, coral bleaching and the future of the world’s coral reefs. Marine And Freshwater Research, 50 8: 839-866. Jones, Ross J. and Hoegh-Guldberg, Ove (1999) Effects of cyanide on coral photosynthesis: implications for identifying the cause of coral bleaching and for assessing the environmental effects of cyanide fishing. Marine Ecology-progress Series, 177 83-91. Jones, RJ, Kildea, T and Hoegh-Guldberg, O (1999) PAM chlorophyll fluorometry: a new in situ technique for stress assessment in scleractinian corals, used to examine the effects of cyanide from cyanide fishing. Marine Pollution Bulletin, 38 10: 864-874. Hoegh-Guldberg, O and Jones, RJ (1999) Photoinhibition and photoprotection in symbiotic dinoflagellates from reef-building corals. Marine Ecology-progress Series, 183 73-86. Peach, Meredith B. and Hoegh-Guldberg, Ove (1999) Sweeper polyps of the coral Goniopora tenuidens (Scleractinia : Poritidae). Invertebrate Biology, 118 1: 1-7. Jones, R. J., Hoegh-Guldberg, O., Larkum, A. W. D. and Schreiber, U. (1998) Temperature-induced bleaching of corals begins with impairment of the CO2 fixation mechanism in zooxanthellae. Plant Cell And Environment, 21 12: 1219-1230. Swanson, R. and Hoegh-Guldberg, O. (1998) Amino acid synthesis in the symbiotic sea anemone Aiptasia pulchella. Marine Biology, 131 1: 83-93. Stewart, J, Kennelly, SJ and HoeghGuldberg, O (1997) Size at sexual maturity and the reproductive biology of two species of scyllarid lobster from New South Wales and Victoria, Australia. Crustaceana, 70 344-367. Emlet, RB and HoeghGuldberg, O (1997) Effects of egg size on postlarval performance: Experimental evidence from a sea urchin. Evolution, 51 1: 141-152. HoeghGuldberg, O and Emlet, RB (1997) Energy use during the development of a lecithotrophic and a planktotrophic echinoid. Biological Bulletin, 192 1: 27-40. Cerra, A, Byrne, M and HoeghGuldberg, O (1997) Development of the hyaline layer around the planktonic embryos and larvae of the asteroid Patiriella calcar and the presence of associated bacteria. Invertebrate Reproduction & Development, 31 1-3: 337-343. Shilling, FM, HoeghGuldberg, O and Manahan, DT (1996) Sources of energy for increased metabolic demand during metamorphosis of the abalone Haliotis rufescens (Mollusca). Biological Bulletin, 191 3: 402-412. Ambariyanto and HoeghGuldberg, O (1996) Nutrient enrichment and the ultrastructure of zooxanthellae from the giant clam Tridacna maxima. Marine Biology, 125 2: 359-363. Takabayashi, M and Hoeghguldberg, O (1995) Ecological and Physiological Differences Between 2 Color Morphs of the Coral Pocillopora-Damicornis. Marine Biology, 123 4: 705-714. Gates, RD, Hoeghguldberg, O, McFallngai, MJ, Bil, KY and Muscatine, L (1995) Free Amino-Acids Exhibit Anthozoan Host Factor Activity – They Induce the Release of Photosynthate From Symbiotic Dinoflagellates In-Vitro. Proceedings of the National Academy of Sciences of the United States of America, 92 16: 7430-7434. Stewart, J, Kennelly, SJ and Hoeghguldberg, O (1995) An Optimal Strategy for Sampling Oocytes in Female Balmain Bugs Ibacus-Peronii Leach (Decapoda, Scyllaridae). Invertebrate Reproduction & Development, 28 1: 7-11. Hoeghguldberg, O and Salvat, B (1995) Periodic Mass-Bleaching and Elevated Sea Temperatures – Bleaching of Outer Reef Slope Communities in Moorea, French-Polynesia. Marine Ecology Progress Series, 121 1-3: 181-190. Hoeghguldberg, O and Manahan, DT (1995) Coulometric Measurement of Oxygen-Consumption During Development of Marine Invertebrate Embryos and Larvae. Journal of Experimental Biology, 198 1: 19-30. Sutton, DC and Hoeghguldberg, O (1990) Host-Zooxanthella Interactions in 4 Temperate Marine Invertebrate Symbioses – Assessment of Effect of Host Extracts On Symbionts. Biological Bulletin, 178 2: 175-186. Hoeghguldberg, O and Smith, GJ (1989) Influence of the Population-Density of Zooxanthellae and Supply of Ammonium On the Biomass and Metabolic Characteristics of the Reef Corals Seriatopora-Hystrix and Stylophora-Pistillata. Marine Ecology Progress Series, 57 2: 173-186. Hoeghguldberg, O and Smith, GJ (1989) The Effect of Sudden Changes in Temperature, Light and Salinity On the Population-Density and Export of Zooxanthellae From the Reef Corals Stylophora-Pistillata Esper and Seriatopora-Hystrix Dana. Journal of Experimental Marine Biology and Ecology, 129 3: 279-303. Hoeghguldberg, O (1988) A Method for Determining the Surface-Area of Corals. Coral Reefs, 7 3: 113-116. Hoeghguldberg, O, McCloskey, LR and Muscatine, L (1987) Expulsion of Zooxanthellae by Symbiotic Cnidarians From the Red-Sea. Coral Reefs, 5 4: 201-204. Hoeghguldberg, O and Hinde, R (1986) Studies On a Nudibranch That Contains Zooxanthellae .1. Photosynthesis, Respiration and the Translocation of Newly Fixed Carbon by Zooxanthellae in Pteraeolidia-Ianthina. Proceedings of the Royal Society B-Biological Sciences, 228 1253: 493-509. Hoeghguldberg, O, Hinde, R and Muscatine, L (1986) Studies On a Nudibranch That Contains Zooxanthellae .2. Contribution of Zooxanthellae to Animal Respiration (Czar) in Pteraeolidia-Ianthina with High and Low-Densities of Zooxanthellae. Proceedings of the Royal Society B-Biological Sciences, 228 1253: 511-521. Sampayo, E.M., Tonk, L., Baird, A.H., van Oppen, M.J.H. and Hoegh-Guldberg, O. (2009). Symbiodinium diversity on the Great Barrier Reef. In: Suzanne Long and Robin Taylor, Proceedings of the 2008 Marine and Tropical Sciences Research Facility Annual Conference. 2008 Marine and Tropical Sciences Research Facility Annual Conference: MTSRF Theme 5 – Enhancing Delivery, Cairns, Australia, (81-87). 28 April – 1 May 2008. Marion, G. S., Hoegh-Guldberg, O. and McCulloch, M. T. (2006). Nitrogen isotopes (delta N-15) in coral skeleton: Assessing provenance in the great barrier reef lagoon. In: Geochimica Et Cosmochimica Acta. 16th Annual V M Goldschmidt Conference, Melbourne Australia, (A392-A392). Aug-Sep -, 2006. Heron, M. L., Willis, B., Prytz, A., Cetina-Heredia, P., Mao, Y., Hoegh-Guldberg, O., Skirving, W. J., Heron, S. F., Eakin, C. M. and Steinberg, C. R. (2006). HF ocean surface radar monitoring for coral bleaching in the great barrier reef. In: Oceans 2006, Vols 1-4. Oceans 2006 Conference, Boston Ma, (1614-1618). Sep 18-22, 2006. Hoegh-Guldberg, O (2004). Coral reefs and projections of future change. In: Coral Health and Disease. International Meeting on Coral Health and Disease, Elat Israel, (463-484). Apr, 2003. Marshall, J., Hoegh-Guldberg, I.O. and Kluter, A. (2001). An easy, cheap reliable method of monitoring coral bleaching. In: Australian Coral Reef Society Committee, 2001 Annual ACRS Conference: Coral Reefs in the 21st Century. 2001 Annual ACRS Conference, Townsville, Australia, (33-33). 6 – 8 July 2001. Hoegh-Guldberg, O (2001). Sizing the impact: Coral reef ecosystems as early casualties of climate change. In: Fingerprints of Climate Change. International Conference on Fingerprints of Climate Change, Ascona Switzerland, (203-228). Feb 23-25, 2001. King, CK, Hoeghguldberg, O and Byrne, M (1994). The Annual Reproductive Cycle of the Sea Urchin Centrostephanus-Rodgersii in New-South-Wales. In: Echinoderms Through Time. 8th International Echinoderm Conference, Dijon France, (734-734). Sep 06-10, 1993. Hoeghguldberg, O (1985). Density of Zooxanthellae in a Nudibranch – Effect On Zooxanthellae Carbon Budgets. In: American Zoologist. , , (A56-A56). .
Gonzalez Rivero, Manuel and Hoegh-Guldberg, Ian Ove (2013): Global Reef Record. The University of Queensland. Dataset.